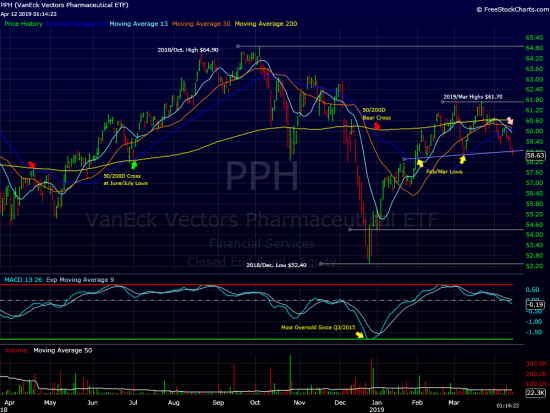 The PPH(VanEck Vectors Pharmaceuticals) is heading for its lowest weekly close since late January. The index has pierced a key trendline as overhead pressure intensifies. We expect more downside in the near term.